The new Scrap Schemes challenge is now live - I'm loving vibrant summery shades at the moment and we hope the new Scheme inspires you too! 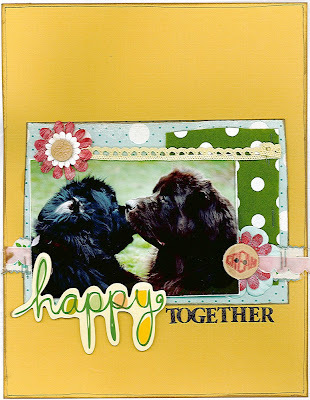 The page is using more Studio Calico and features a pic of both my girlies playing in the garden - they are such a soppy great pair!! I love this layout! That picture is priceless!